How do I avoid fungal toenail infections? You've probably heard talk of toenail fungus. Maybe you even went as far as examining your nails and comparing them with photos you've seen online. Chances are, if you're nails aren't yellow and crumbly, you'd like to keep them that way. To prevent fungal toenail infection or reduce recurrent infections, practice good hygiene. Always keep your toenails trimmed, dry and clean. Trim them straight across and be sure to file down thickened areas. Don't pick at them! Wear synthetic socks that wick away moisture and change them often. If possible, treat your feet to fresh air throughout the day. Occasionally remove them from your footwear but never in public areas such as swimming pools, showers, or locker rooms! Alternate between shoes every day and sprinkle your feet and shoes with antifungal spray or powder. If you've developed a fungal infection, we can help! We provide breakthrough laser treatments that zap the pathogens at the source. You can make your appointment at any of our three locations in San Leandro, Pleasanton, and Los Gatos, CA. Just call (877) 994-5273 or (510) 483-3390. You can even make your appointment online! How long does fungal toenail treatment take? Fungus often alters the color and shape of your toenails. Left untreated, it can continue to grow, and possibly spread. Fungal nail treatment may vary depending on the option your doctor recommends is most appropriate for your needs. Typically, you take medication for six to twelve weeks, then apply cream or lacquers to the infected area for a period of time after. Toenail fungus can be stubborn, so be sure to take special care of your feet during this time. This will help any new infections from occurring, so you can be rid of your fungus for good! If you have toenail fungus that is disrupting your life, contact Dr. Michael Stein and Zeindelin Ahmad, DPM, at the Foot Doctor of the East Bay located in CA. Call (510) 483-3390 for our San Leandro office, (925) 425-9684 for our Pleasanton location, or (408) 356-6767 for Los Gatos. Fungus is no fun. Call today! How does laser treatment for fungal nails work? When you have toenail fungus, you may feel that there is never a good time to wear sandals. Socks on the beach? No, thank you. You don't have to hide your feet this summer! Our laser treatment takes aim at your toenail fungus and zaps it at the source. Our state-of-the-art laser treatment for fungal nails is safe, fast, and efficient. This innovative technology avoids all of the potentially serious side effects of other leading toenail fungus treatments. Requiring no more than 30 to 40 minutes of your time, the laser vaporizes the fungal pathogens that cause your nails to appear yellow and crumbly. The procedure contains no harmful UV radiation and you undergo it without anesthesia. To prevent fungus recurrence, it's important to keep up with regular visits. Laser treatment will improve the look of your nails and leave you feeling confident while striding along the shore! If you're suffering from fungal nails, stop by Foot Doctor of the East Bay, with three locations to serve you. Call our office at (510) 483-3390, or schedule your appointment online. Toenail fungus is an infection that can begin at the edge of your nail with yellow or white spots. As the fungus spreads, the nail becomes thick, hardened, and discolored. It’s important to treat the nail to prevent it from getting worse. One way to do so is with at-home lifestyle modifications, such as wearing footwear that isn’t too tight, and keeping your nails trimmed to the correct length. Simply increasing your level of personal hygiene can help too— keeping your feet clean will make your toes an unfriendly environment for bacteria. You may also try taking antifungal pills orally. When taken consistently, these pills work through your bloodstream to attack the infection. Alternatively, you may be recommended a nail paint that is directly applied to the area, or a treatment called chemical nail removal. With this procedure, a solution is applied to the fungus and covered overnight. In the morning, the application is washed off and the nail is filed away. This works to dissolve the nail and the fungus completely. A new, healthy nail then grows in its place. If you have further questions about toenail fungus treatment, call Dr. Michael Stein and Zeindelin Ahmad, DPM at Foot Doctor of the East Bay in San Leandro, Pleasanton, and Los Gatos, CA. Is laser therapy for toenail fungus painful? 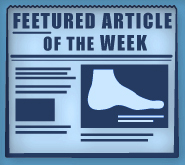 For almost all patients, laser therapy for toenail fungus is completely pain-free. At Foot Doctor of the East Bay, we’ve used the GenesisPlus Cutera laser to treat thousands of patients for their unsightly toenail fungus. A typical treatment lasts about 30 minutes, and the vast majority of patients report no feelings of pain at all—they walk out of our office feeling just as good as they did when they walked into it. That said, you may feel a warming sensation as the laser penetrates the nail bed to kill the fungus. For most, this feeling is a tingling at best, though in rare circumstances it may cause discomfort. If you feel any pain during the procedure, let us know immediately. For more information about toenail fungus, check out our digital library. To schedule an appointment, use the contact form on this website, call us at (510) 483-3390, or stop by one of our offices in San Leandro, Pleasanton, or Los Gatos, CA.